When a business in another country will not pay, you probably need the help of a debt collection agency based in the same country as your customer. 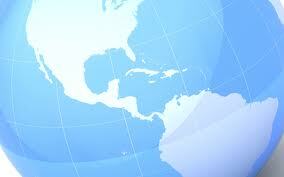 The Internet makes it easy to find a debt collection agency almost anywhere in the world. If you have a foreign customer who hasn’t paid, one option is to simply search to find a debt collection agency located near your customer and hire them directly. However, that may not always be the best strategy. Unless the foreign debt collection agency has top referrals and a proven track record, nobody guarantees quality of servicing, how reliable a local debt collection agency is, the work ethics the local agency uses, or the local agency’s collection, reporting, and payment methods, to mention just a couple of things which are essential to have a successful collection process and cooperation with the local agency. There are tens of thousands of debt collection agencies worldwide. Most specialize in collecting from individual consumers and business collections represents a minor portion of their business. “Business to Consumer” (B2C) debt collection is generally a to a large extent standardized process including sending dunning letters and programmed calls. Those debt collection agencies that specialize in “Business to Business” (B2B) collection are going to do a better job at that. B2B is a specialist’s category in the debt collection business and requires amongst others more sophisticated communication skills, often a negotiator’s or mediator’s approach, and a commercial attitude. To be successful in B2B debt collection one should always assess the likelihood of (full or partial) collection and estimated time needed to collect based on size of the claim, age, location of the debtor, the type of organization debtor is, and its financial status. Even among B2B debt collection agencies there can be a huge difference in quality of service. A debt collector with years of experience and a deep business background is going to have more success than one who is reading a script. Some agencies just have a 30 to 60 day routine that they follow and if there is no success it is time to litigate or close the claim. Others treat debt collection as a business problem to solve and work diligently to get engagement, resulting in a much higher success rate. Collecting on an international debt is different. Disputes, real or fake, are common. Quality and delivery timeliness are the most common issues. But often we’ll see customers try to take advantage of poor paperwork. A collector who understands international business can work their way through these disputes far better. Key is that the international debt collector understands the leverage they have or may not have, in order to assess likelihood of collection. The leverage is generally a combination of ongoing commercial interest between debtor and client, options to locally enforce the debt legally, and any other options the client or the debt collection agency have that debtor may consider disadvantageous to its business interests. International debt collection issues in general are larger than the average domestic claim. This frequently has to do with the underlying benefits of using a foreign supplier. The deal has to be big enough to go through the effort of using a foreign source. That means the amount of money involved is more important for the vendor. And that means you want a debt collection agency that has extensive experience with large claims, on top of having proper knowledge of the local legal system, speaking local languages and international business languages (like English and Spanish) and knowing what is required to have a smooth communication at an international business level. Very few have this qualification and it is not easy to find them with a simple Internet search. Finally, you need an agency that knows how to overcome the perception that you, the vendor, are too far away to actually litigate if that is the only way to get the money collected. Litigation is a last resort and should be avoided whenever possible. But, as part of the aforementioned leverage, your agency needs to be able to make this outcome credible in your customer’s mind if sufficient progress is not being made. When you consider all of these factors, finding the right debt collection agency via an Internet search is going to be very difficult. This is where your local agency adds value. If they have an international presence, they should already have existing agency relationships in numerous countries. They know who is good at international debt collection. When your claim gets placed through your local agency, it is not just a one-time claim for the foreign agency. It is one in a long-term relationship between the two agencies and thus is likely to get the extra attention you want. Another advantage of using your domestic debt collection agency to place the claim internationally is that they can interpret the foreign debt collection agency’s reports into terminology that the local customer will understand taking into account local norms and culture. We aren’t just talking about interpreting from one language to another. Business, debt collection, and litigation are different all over the world, and your local agency can explain the differences and help ensure there are no misunderstandings or miscommunication when dealing with a foreign agency. You might think that going through your local debt collection agency could end up costing you more. Often, that is not the case. Many debt collection agencies will share their standard contingency fee with the referring agency so the customer pays the same price whether they hire direct or through the local agency because of the long-term relationship. Actually, if your local agent has good deals it will probably even be cheaper than hiring a foreign debt collection agency directly while surfing the Internet, as your local agency generally pre-negotiates (exceptionally) good deals based on long term relationships and volume. Foreign agencies are very willing to do enter into deal with favorable rates in exchange for volume and a continuous flow of business. They will also be on top of performance as your local agency will be a long term business partner and an essential referral for international business. So, for getting the right foreign debt collection agency at the right price with an intermediary who can help interpret the differences in business practices throughout the world, your search should start with your local debt collection agency. This post was written by Dean Kaplan with contributions from David Zannoni. To learn more about international debt collection in and from the United States, please contact Dean Kaplan at dkaplan@kaplancollectionagency.com, or via Linked-In or visit the webpage of The Kaplan Group: www.kaplancollectionagency.com. If you are interested in learning more about debt collection in Latin America please visit www.cobroamericas.com, connect with David on Linked-In or follow David on Twitter.